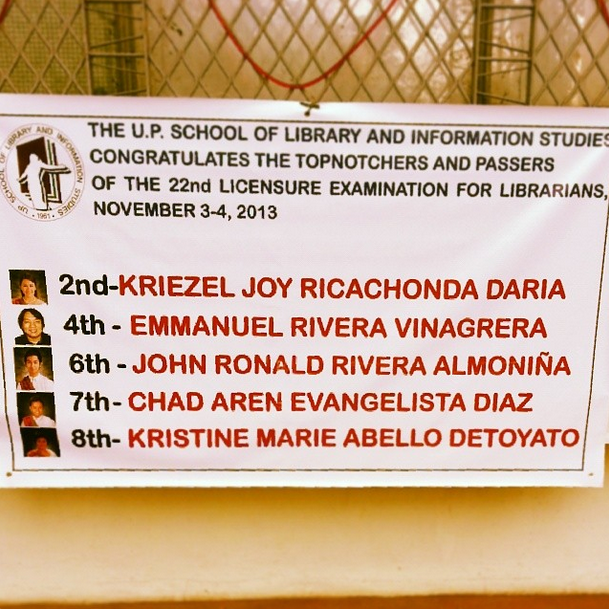 I took the LLE last November 2013 and luckily landed on the sweet second spot. I didn't aim for it, I didn't expect it, and actually, until today, I couldn't believe it. I was unprepared and I didn't care. I don't know what I did right but the universe must have conspired to award me such honour. And of course, I am eternally grateful. 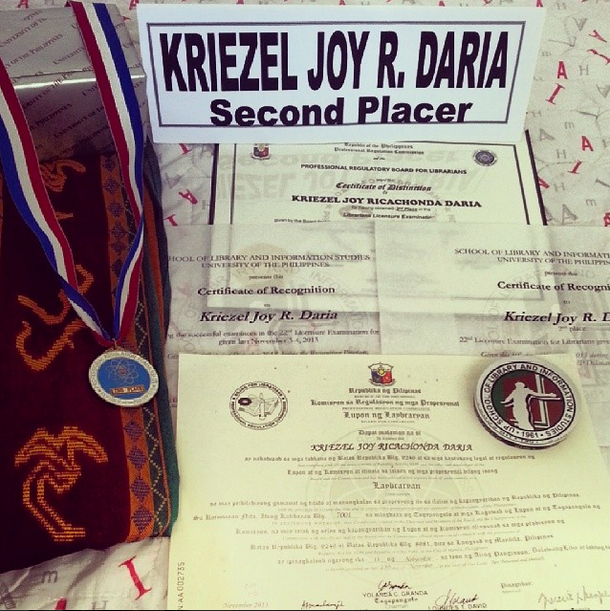 My only mindset was: "Hindi ako pwedeng bumagsak. Nakakahiya." I know this sounds pathetic. We each have our own reason for wanting to pass. And this was mine. I don't want to be humiliated. I already spent 7 years in college due to shifting majors. I didn't want to extend further. Good enough, I passed and ranked even. So to give back, I would like to share to all future librarians my tips and life hacks in taking the LLE. Brace yourself for a very comprehensive entry right hurr. Lolz. Leave a message below if you have questions/comments/violent reactions. Or you can shoot me an email at kriezeldaria[at]gmail[dot]com. Toodles!